Stream anime episodes online for free, Watch One piece Episode 109 English version online and free episodes. 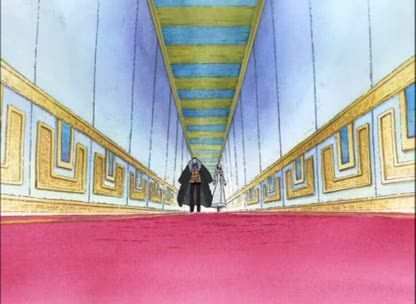 Anime Episode guide One piece Episode 109 English dubbed The Key to a Great Comeback Escape! The Wax-Wax Ball! “Mr Prince” is actually Sanji, and lures Crocodile out of the casino. Sanji goes to rescue the Straw Hats, and manages to open their cage by having Mr. 3, who was swallowed by one of the Bananagators, copy the key with his Wax Wax Fruit powers. The room floods, but the Straw Hats swim to safety. Luffy orders Zoro to save Smoker, and he allows them to escape for the moment as they race to stop the rebellion.